This is the home of Rome’s designer shopping area and where you will find Prada next to Armani with a sprinkling of Gucci. The shops that line via Dei Condotti entice your credit card out of hiding with their glittering window displays. Take time also for people watching, as this is the haunt of any celebrity in town worth their Hermes bag. And even if this is way out of your budget, remember it costs nothing to go in and unfold things. 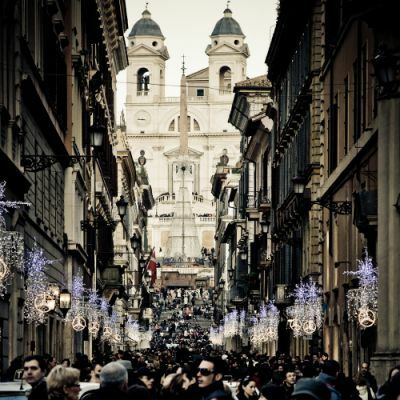 Rome is a shopper’s paradise, and our shopping tours give you insider access, exclusive discounts and exciting benefits. 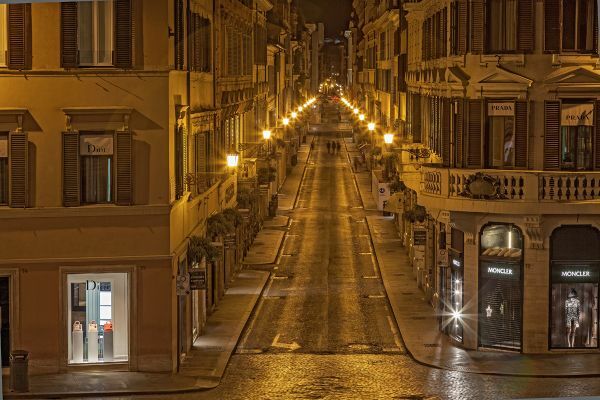 From the charming streets of Via della Stelletta to the exclusive famous brand showrooms of Via Dei Condotti, visitors will love exploring Rome’s secrets. Rome Boutiques invites every tourist to live Rome as a native for a few hours. 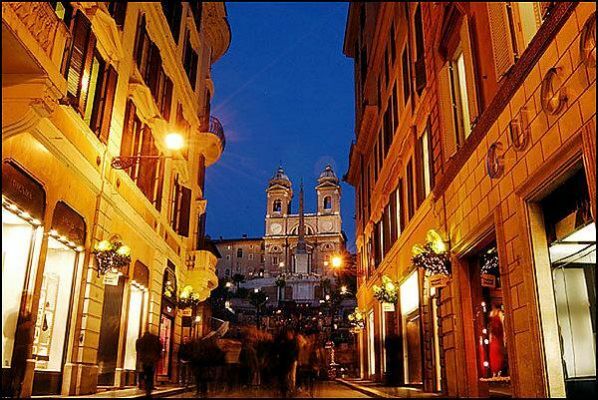 Walking on Via Dei Condotti from Piazza di Spagna to Via del Corso, you will enjoy the most exclusive fashion brands such as Dior, Gucci, Moncler, Prada, Bulgari, Cartier, Mont Blanc, Louis Vuitton, Ferragamo, Church’s, Jimmy Choo and more. 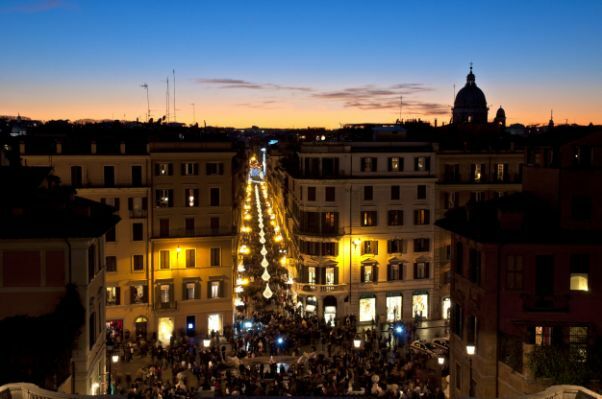 The popularity of Via Dei Condotti means it is always thronged with visitors. 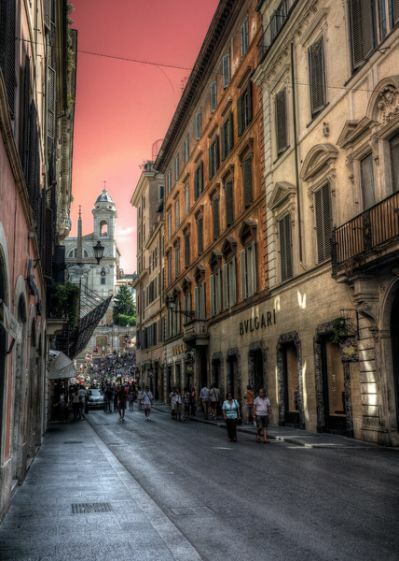 Fortunately they are not all there to shop, as this is one of the most exclusive streets in Italy, and most people are drawn in purely by the window-shopping and people-watching. Via Dei Condotti is also home to Caffè Greco, perhaps the most famous caffè in Rome, established in 1760. Over the years it’s attracted towering figures in literature and the arts, such as Stendhal, Goethe, Byron, Liszt and Keats. 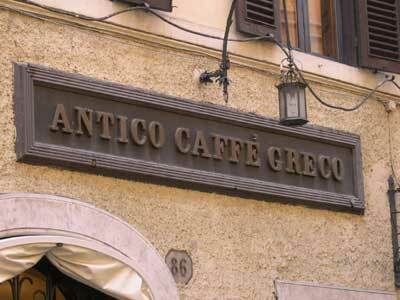 The Caffè Greco, or rather, Antico Caffè Greco, has almost completed two centuries of uninterrupted business. The window next to the entrance at 86 via Condotti reads ‘A.D. 1760’, although unfortunately we do not have the relevant documents on the origins of the shop. Domenico Gnoli once believed that this “Levantine” could be linked with the picture of a “Turk” found in an engraving by Nicholas Bocquet- a largely unknown artist who worked in Rome and Paris at the end of the seventeenth century (and therefore at least sixty years before the supposed birth of the Greco). It is a Parisian engraving, “Se vend Rue St. Jacques, au Grand Monarque” with a bilingual caption—four lines of approximate Italian and four of flavoursome French. Via Dei Condotti gained its fame when the atelier of Bulgari (10 via Dei Condotti) where an exhibition gallery, a sitting area, a treasure trove: located on the first floor of the historic store in Via Condotti 10, Domus is a place in which the story of the Brand and of its stylistic evolution will be told by regularly updated displays of the splendid unique pieces belonging to the Heritage Collection, supported by vintage photographs and sketches. Domus will also display images and belongings of the unforgettable divas whose extraordinary charm was celebrated and accented by Bulgari creations: Elizabeth Taylor, Sophia Loren, Anna Magnani, Ingrid Bergman, Anita Eckberg, Gina Lollobrigida and many others. 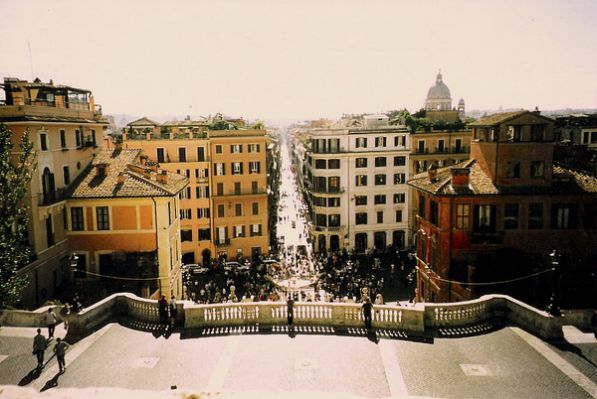 The street looking towards the Spanish Steps and the street, which runs from “Piazza di Spagna to the Via del Corso”.